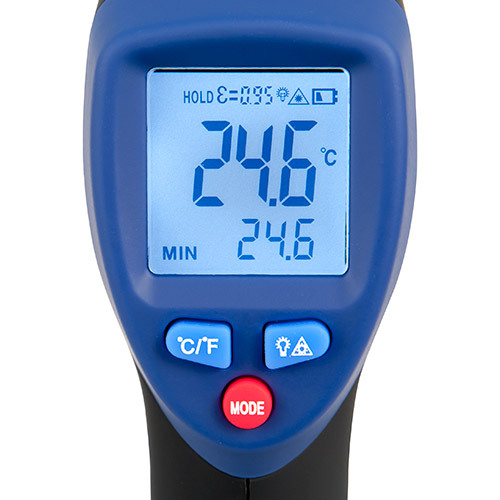 With a PCE-889A infrared thermometer we offer you a profesisonal tool for a nin-contacting measurement of surface temperatures. The special characteristics of this device are the bright laser pointer, the wide measurement range and the adjustable emissivity (according to the material). Due to the good diameter to spot ratio of 30:1, items in a furhter distance are precisely meaurable.Another interesting fact is that the minimum measuring spot diameter is only 1 cm (≈0.39") at a test distance of 30 cm (≈11.81"). 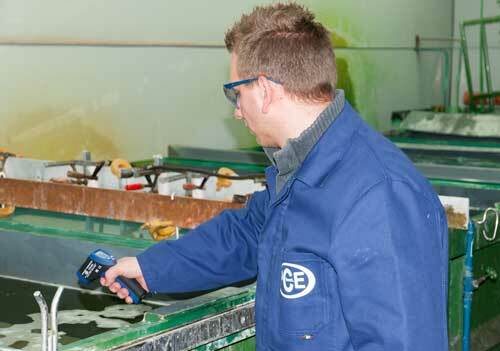 Therefore, it is possible to carry out a temperature measurmement on small items. 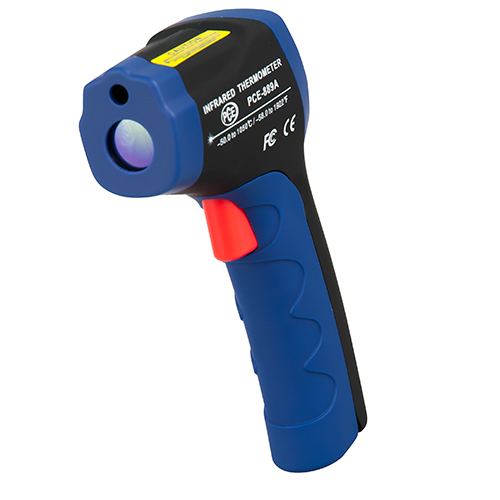 This infrared thermometer with adjustable K value (emission levels) can be used to measure the temperature of different materials. Here is a table of K values for different materials. At this link you can see more information about the temperature units that are used internationally. 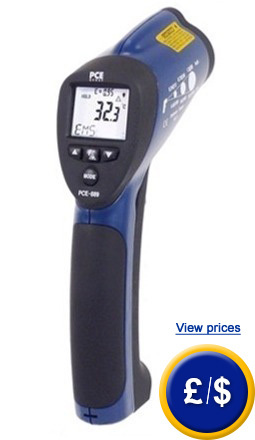 Here you will find another model of infrared thermometer similar to this one or different infrared thermometers to measure temperature. The range of uses for the infrared thermometer is wide. These devices are widely used in all industrial processes by professionals and an amateurs, to control electrical units in cabinets or to check the temperatures on engine components.